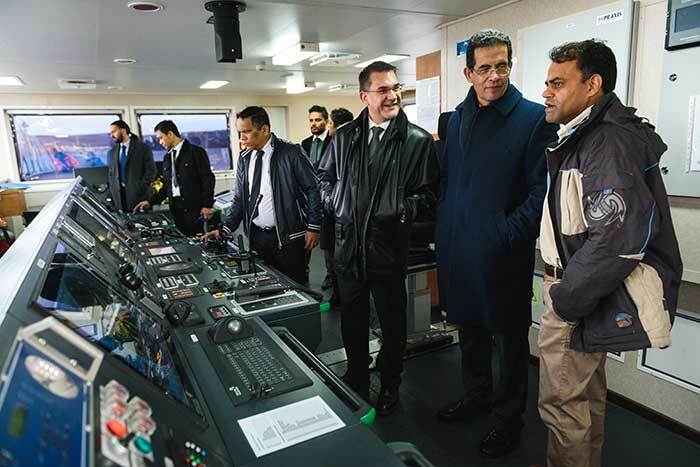 VARNA, Bulgaria (BulgarianMilitary.com) – On 27 February, at MTG-Dolphin Shipyard a name-giving ceremony was held to mark MTG-Dolphin’s successfully delivering a newly-built oil product transportation tanker to Rubis Eastern Caribbean, learned BulgarianMilitary.com. 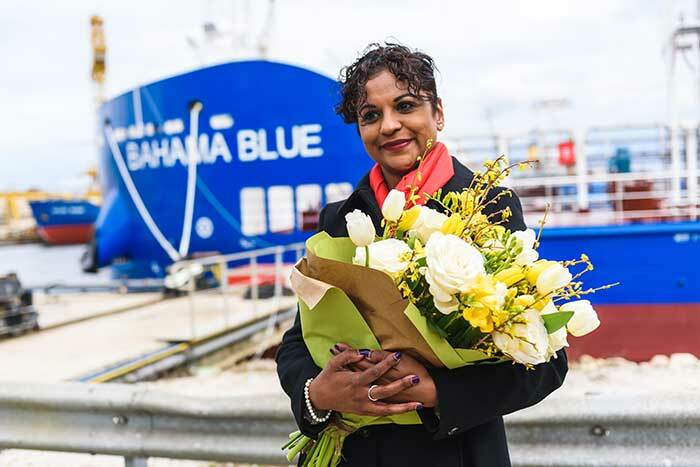 The tanker, to sail the seas as Bahama Blue, adds to the fleet of vessels of one of the major players in the distribution of high quality petroleum products in the Caribbean. 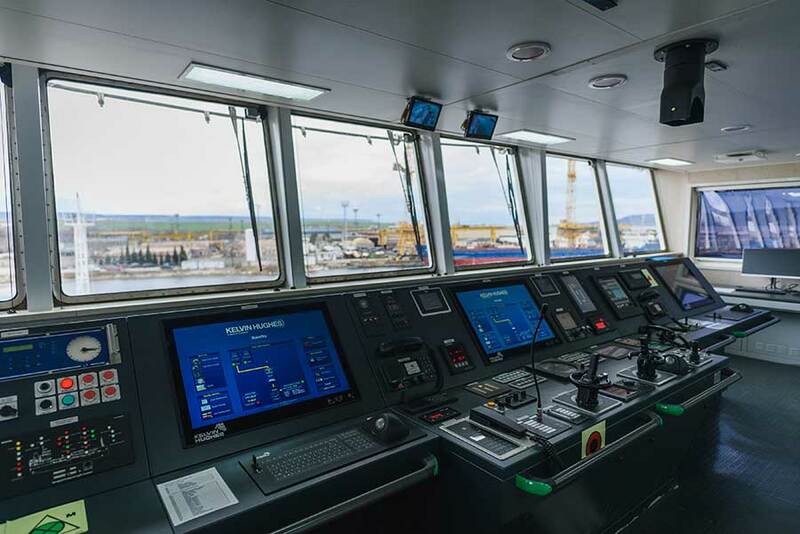 This is the second tanker in a row that is being delivered by MTG-Dolphin to its owner in only three months’ time, after in November of 2017 the Shipyard rolled out a highly-automated bunkering vessel, now operated by an Italian company. The new tanker is designed and constructed to satisfy all the applicable rules of RINA and the Maltese flag state, and measures 64m overall with a beam of 12m and a maximum draft of 3.6m. 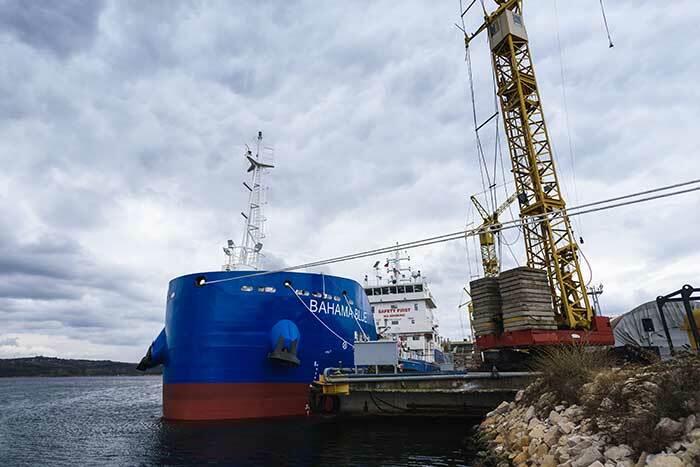 Bahama Blue has been assigned unrestricted navigation notation and operates at the highest degree of automation. 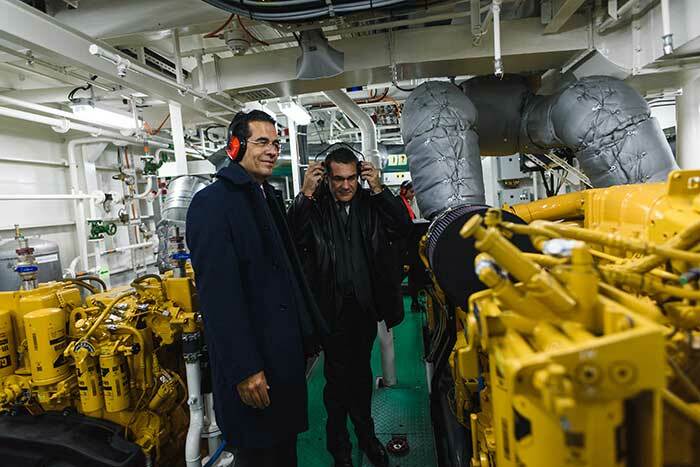 The propulsion is diesel-electric, powering two L-drive 360’ azimuthing units and a bow thruster that guarantee the tanker’s exceptional maneuverability and the capability to navigate even in the most challenging ports in the Caribbean. Bahama Blue is fitted a selective catalytic reduction (SCR) system and DPF filters. This has allowed the ship to receive a Green+ additional class notation – a marker for the tanker’s covering the highest environmental protection standards. During the ceremony representatives of Rubis Caribbean commented that the company was extremely satisfied with the quality of the ship and with the cooperation with MTG-Dolphin and revealed plans to order additional vessels from the Yard. About MTG Dolphin – MTG Dolphin is a leading Bulgarian shipyard with proven experience in designing and producing specialized and highly integrated ships, including combat and patrol vessels.